Hannah began volunteering with Lovelane in the fall of 2015, and quickly realized she was passionate about making therapeutic riding into a lifelong career. She received her MA Riding Instructor Exam in July 2016 and her PATH certification in June 2017. 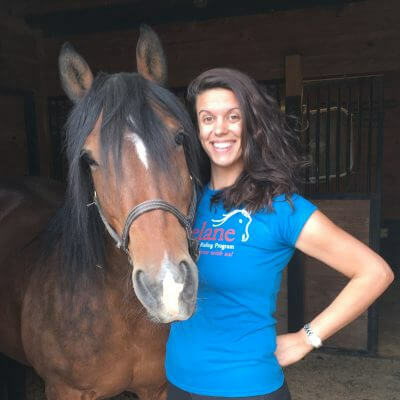 Hannah is also a Certified Equine Massage Practitioner and owner of her own small business, With Gratitude Equine Massage. Hannah loves coming to work every day because there is always an energy at Lovelane that makes anything seem possible. Her favorite thing about being a part of Lovelane’s program is seeing our students smiling faces after accomplishing a goal, trying something new, or realizing a new skill.